BizCloud Expert’s core competency is providing consulting services for solution architecture and design, web and mobile applications development, devops, IoT services and cloud management. BizCloud Experts help enterprises accelerate their digital transformation and cloud adoption initiatives. They also help clients create new experiences that blend business and customer domains, and improve operational efficiencies and organizational performance. BizCloud Expert’s clients use AWS Service Catalog to allow self-service provisioning of their solutions to accelerate demos, trial software and solution deployment. The key benefits to their customers are reduced provisioning time from days/weeks to hours/minutes, scale services to hundreds of users and drastically reduce capital expenditures for their Demo, PoC and production environments. They do this by taking common architecture patterns repeatedly requested by the organization’s development teams, converting them to portfolios on AWS Service Catalog and executing them using CloudFormation templates, Lambda Functions and third party devops tools. Cloudticity is an AWS Advanced Partner, Audited Managed Services Provider, Authorized Government Reseller, and has the AWS Healthcare and DevOps Competencies. Cloudticity focuses on designing, building, migrating, and managing HIPAA-compliant systems on AWS. Almost all of Cloudticity’s healthcare customers are using Service Catalog to access and manage their catalogs of AWS services, and meet their HIPAA compliance requirements. Cloudticity has built patient portals, health information exchanges, mobile health engagement platforms, telemedicine solutions, big-data analytics of health insurance information, IoT information aggregation for health data collection devices, and many more. They achieve scale by automating every aspect of their business, including how the company delivers service to customers. Flux7 is an AWS Advanced APN Partner, an Amazon Aurora MySQL and AWS WAF Service Delivery Partner, and has achieved AWS Healthcare, DevOps, Life Sciences and Migration competencies. Flux7 uses AWS Service Catalog to create repeatable deployments of IT services that meet business requirements, enable self-service IT needs, and develop catalogs of IT services. A trusted DevOps partner to leading enterprises across healthcare, life sciences, energy, retail and financial services industries, Flux7 teaches customers ‘how to fish’ – working hand-in-hand with clients to design, deploy and scale modern IT systems and workflows that speed time to market, reduce security risk and maintenance costs, and improve service delivery performance. Logicworks is an AWS Premier tier APN Partner with 20+ years of experience in enterprise IT. They are well-known for their expertise in complex infrastructure for industries with high security and compliance requirements, including finance, healthcare and retail. Logicworks has achieved DevOps, Healthcare, Marketing & Commerce and Migration Competencies. 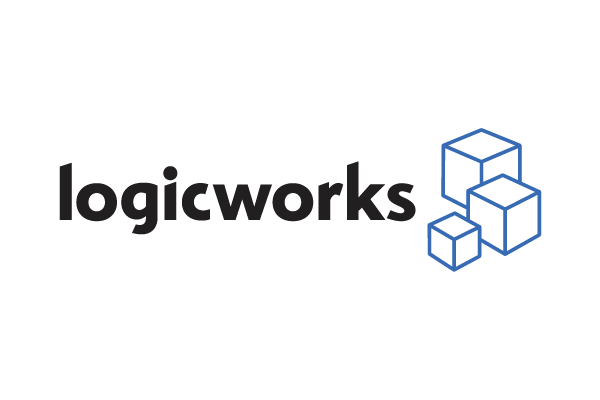 Logicworks uses AWS Service Catalog to create ready-to-use repositories of custom-built AWS environments, allowing customers to easily launch new environments that have approved security and resiliency configurations. This can dramatically simplify the process of creating or replicating AWS environments and enables large organizations to control standard configurations in a central, common hub. RunAsCloud creates dynamic Windows servers that conform to corporate specifications. to adhere to environment standards. Tata Consultancy Services (TCS), an AWS Premier Consulting Partner, AWS Global Reseller Partner, AWS Managed Services Provider, with SAP Competency, is an IT services, consulting and business solutions organization that delivers real results to global businesses. With a dedicated AWS Center of Excellence, TCS customers across verticals are able to achieve a cloud-first strategy leveraging TCS' innovative, secure, scalable and cost effective cloud transformation solution spanning the entire lifecycle from discovery, cloud strategy, design, architecture, migration factory set-up, DevOps readiness, automation and managed services. TCS customers use AWS Service Catalog to automate provisioning, achieve governance and standardization of AWS resources. TCS also helps their customer’s DevOps teams to manage and utilize service catalogs for application hosting in AWS. Wipro is an innovation-led cloud APN Partner for clients on AWS in their digital journey. Our Cloud First agenda provides cloud transformation services to build innovative solutions at the intersection of AWS with Big data, Analytics, IOT (Internet of Things) and Mobile / Web applications. Our integrated blueprint for AWS migrations, deep AWS expertise and proven execution approach accelerates the journey to AWS. Our rich repository of industry specific and technology solutions on AWS empowers clients to gain the true value of the ‘as-a-service’ economy. Our end-to-end offerings on AWS around strategy, technology consulting, migration, cloud native application development, integration and managed services equip clients to do business better. Wipro’s clients use Service Catalog to enable self-service discovery, maintain control, and provide central management of their AWS services. Interested in becoming an AWS Service Catalog delivery partner? AWS Service Catalog participates in the AWS Service Delivery Program. The Service Delivery Program recognizes APN Partners with a verified track record of delivering specific AWS services and workloads to AWS customers, including AWS Service Catalog. To apply to become a AWS Service Delivery Partner, apply online through the APN Portal today.